Are you locked out of your property? Do you need new keys for your building? Has your car key snapped in your car door? Don’t worry, 24-7 Locksmiths Solihull deal with these kinds of problems 24 hours a day, every single day of the year. Call today on 0844 870 8135 for a quote or emergency locksmith call-out. 24-7 Locksmiths Solihull provides domestic, commercial, automotive, and an emergency call out locksmith services throughout the West Midlands. We provide all type of locks for any households and any businesses and we pride ourselves on our customer service. 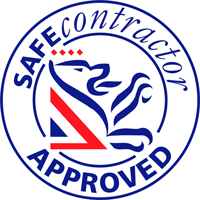 All our work comes complete with a 12 month guarantee and there are no hidden costs or call-out fees attached. It’s not just emergency locksmith services we provide, though. Explore our website to find our other services, including CCTV, alarm and intercom installation, security checks and universal key fitting. When you are locked inside/outside your property after normal working hours, we are just a call away. 24-7 Locksmiths Solihull offers fast, reliable emergency locksmith services that won’t leave your property or vehicle damaged. Call a Solihull locksmith now on 0844 870 8135 or leave your details using our online form and we will be in touch shortly.